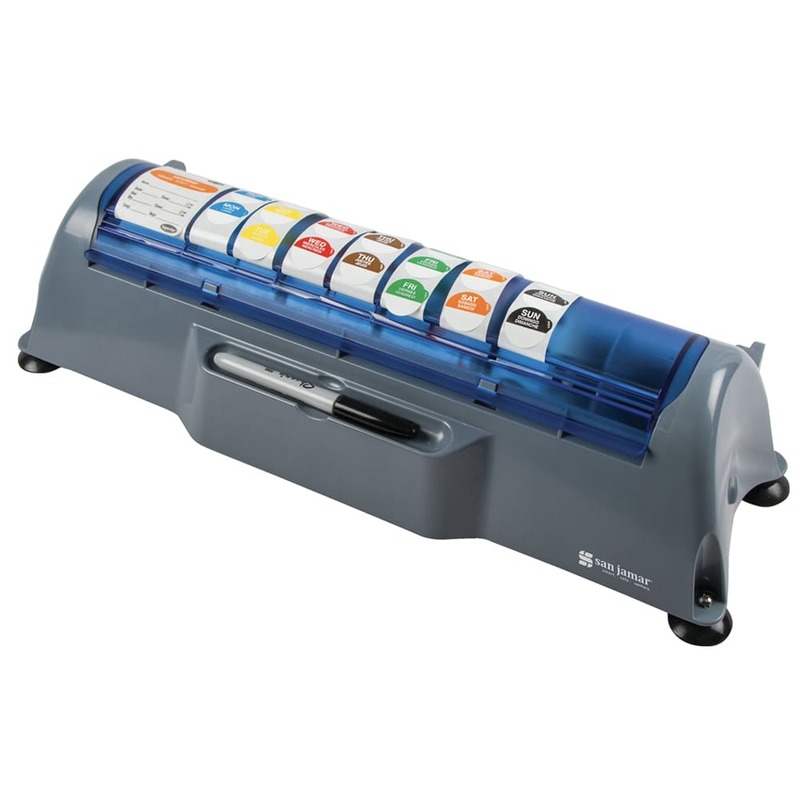 The San Jamar STL511 Saf-T-Label™ dispenser helps users keep track of inventory by holding labels that mark what date they were prepared or opened. 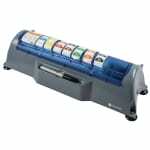 Accommodating 3.25-inch-diameter by 3⁄4-inch-wide to 2-inch-wide rolls, the unit holds (11) 1-inch or five 2-inch rolls. 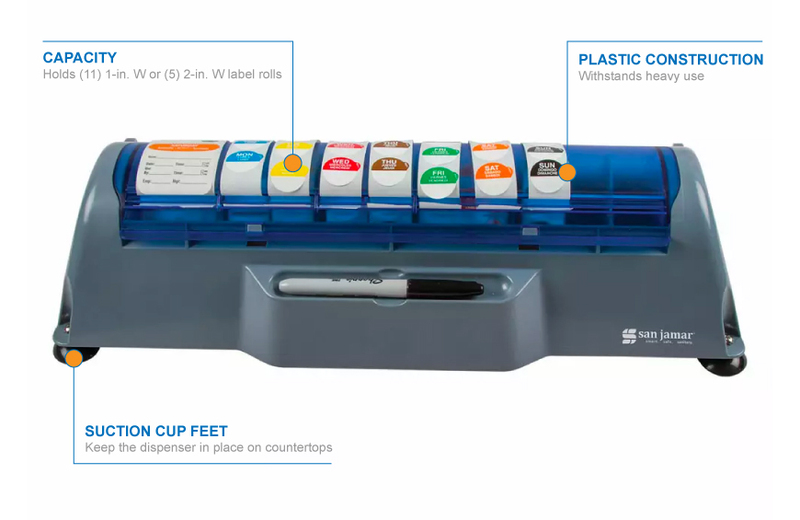 Its design enables stickers to be separated from the backing with a single hand, and dividers are included for multiple label configurations. Suction cup feet keep the dispenser in place when it is used on countertops, and the dispenser is made of heavy-duty, break-resistant plastic.